Who talks to students about hygiene at your school? Is it the nurse, the counselor, the gym teacher or somebody else? As a school counselor, I have been asked over and over by teachers to talk to specific kids or the entire class about hygiene. Each school probably has it’s own procedures for who talks to students about hygiene. 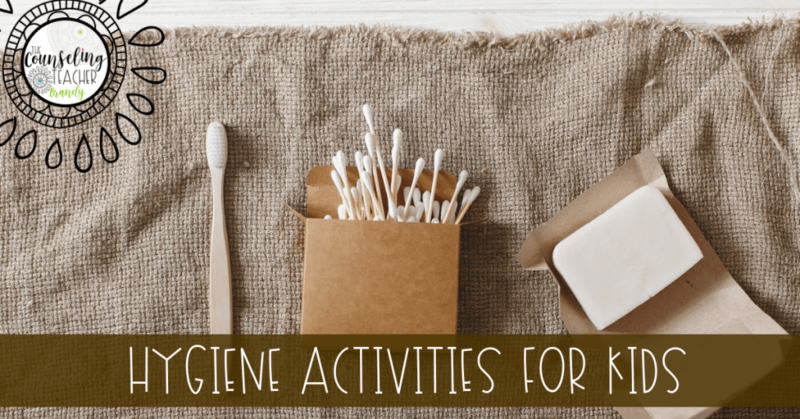 You may find yourself in need of these easy to teach hygiene activities for kids. Cartoon flipbooks have been around for generations. One can spend hours drawing the pieces of a cartoon to make it come to life on an old sticky pad. We used the bottom corner of old books & magazines when I was little. 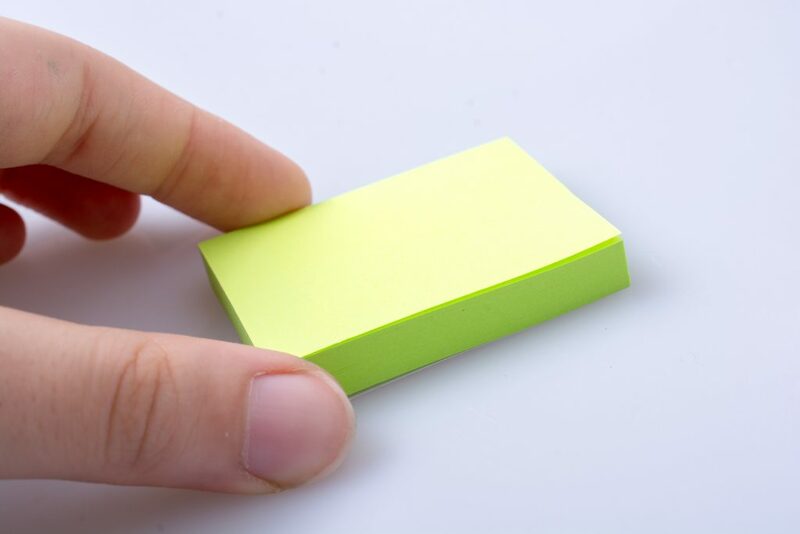 You can also use the backs of old business cards, sticky pads, or any other small note pads to make your own homemade versions. Give each student a topic and have them animate it on their chosen pad. 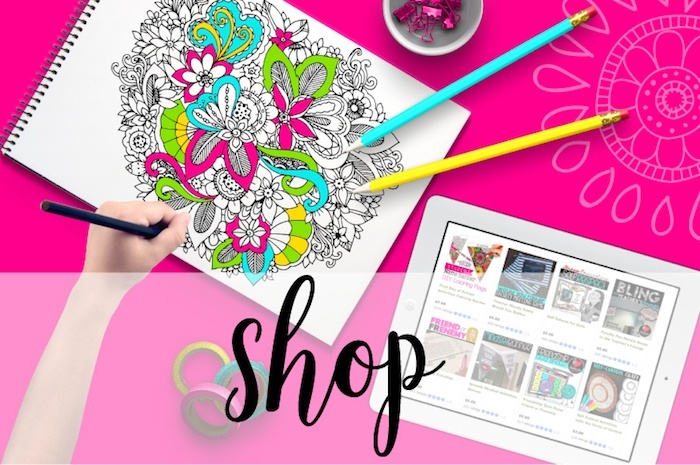 I created these templates that are ready to print and go. Easy instructions are included. This craft is one of my favorite activities because students can add their own elements to the existing animations. 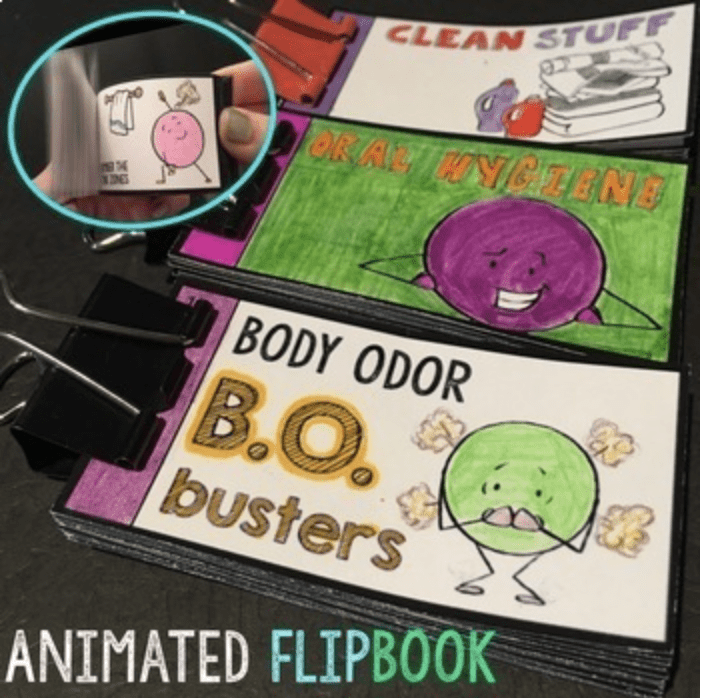 There are three flipbooks including body odor, oral hygiene, and keeping belongings tidy and clean. I have to admit I played with these for hours with my own kids before using them in the classroom. Who doesn’t love making their own animations to make them feel like a kid again? Create posters with hygiene reminders to use in the restrooms, hallways, office, and classrooms. Give students subtle reminders to keep hygiene in their daily thoughts. Click here to see more signs and start using these free signs today. 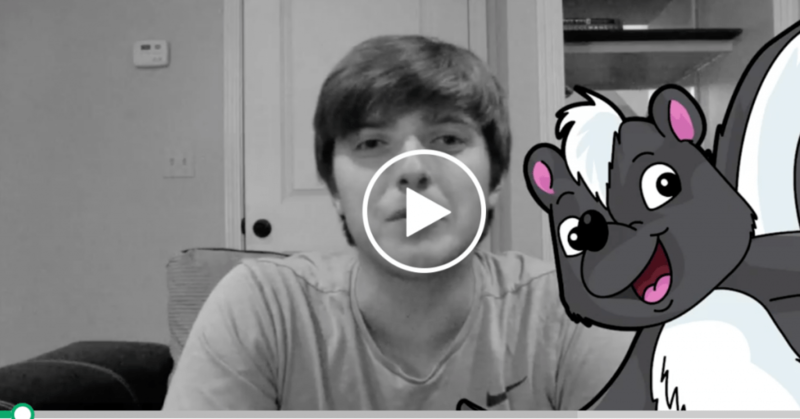 Film student, Reagan Ballard created a video to show to students about personal hygiene. 1. Bathe daily! Your body creates bacteria and oil daily that can cause you to smell. 2. Use soap. Water alone will not get rid of the bacteria. 3. Wash your hands after you go to the restroom, before you eat, and after you’ve been touching surfaces out in public. 4. Deodorant should be used daily and repeat if you exercise or get sweaty during the day. 5. Wear clean clothes daily. If you wear clothes for more than one day, they will have a build up of bacteria that can cause an odor. This goes for jackets, scarves and sweatshirts too! 6. Don’t go to bed sweaty or dirty. Taking a bath or shower before bed will reduce how often you need to clean your sheets. Washing your sheets once or twice a month is important. 7. Brush and floss your teeth at morning and night. If you are able, brush after meals as well. 8. Clean and trim your fingernails and toenails. Your nails collect germs and bacteria that can smell and make you sick. I have included this video in one of my hygiene resources here. The kids love his personality and relate to him. 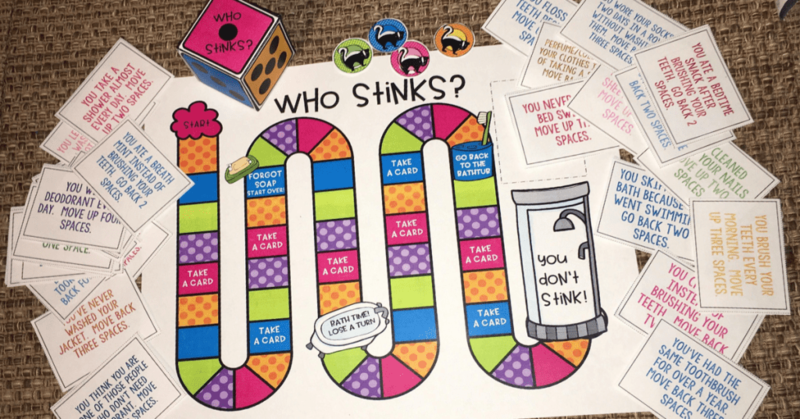 This board game can be used in centers or with small groups. Students will laugh and learn hygiene tips without feeling singled out. 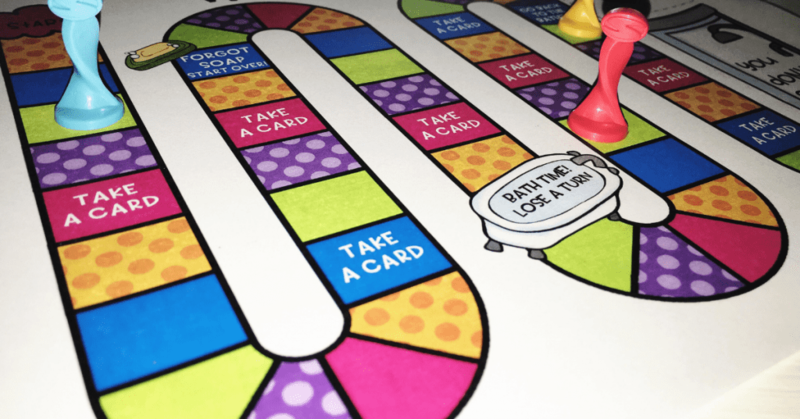 Two to four players can play using the included dice and printable game pieces. I was able to recycle game pieces from an old board game. 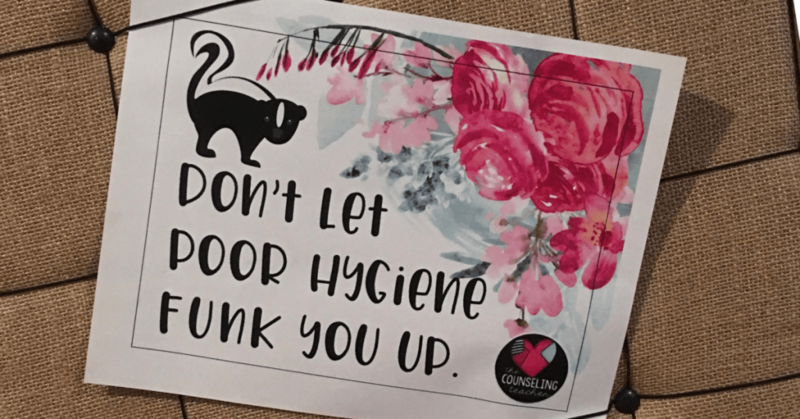 There are scenario cards with hygiene tips that keep students laughing while they learn. Also known as fortune tellers, this craft will keep students entertained for a long time. I love using these for students who finish work early. I also give them as homework sometimes. 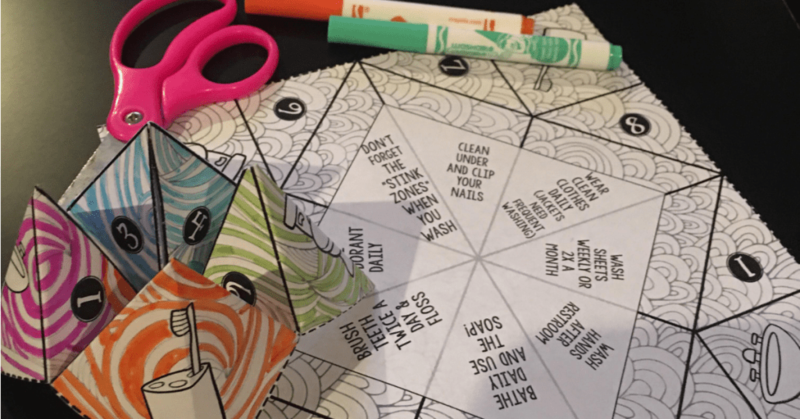 You can find free cootie catcher templates online and have students write in their own tips. I have created a few as well. Click here to see more. I hope you found some fun ways to introduce personal hygiene to your students. This topic has gone from my least favorite subject that I tried to avoid, to one of my favorite things to discuss with students. Please share your experiences or tips in the comments.